I bought the book a while back, and eventually got around to reading it. 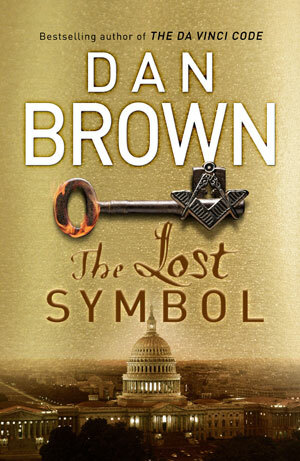 This time professor Langdon is asked to come to Washington to hold a lecture at the United States Capitol, supposedly by his old friend Peter Solomon. When Langdon calls Peter to confirm the details, he can only reach Peters assistance who says that a private plane will pick him up, and that Peter asked him to tell Langdon to bring the small package he is safe keeping for Peter. Langdon arrives at the Capitol in the last minute, but finds only an empty hall without audience where he was told the lecture would be held. Soon after the severed right hand of Peter Solomon is discovered in the Capitols dome, pointing upwards to the fresco The Apotheosis of Washington. 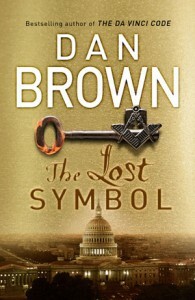 Upon closer examination Langdon discovers that Peters hand has been tattooed, with symbols that holds an ancient meaning. 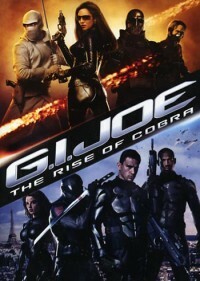 This movie is set to take place in an alternate world, where superheroes are a part of society. 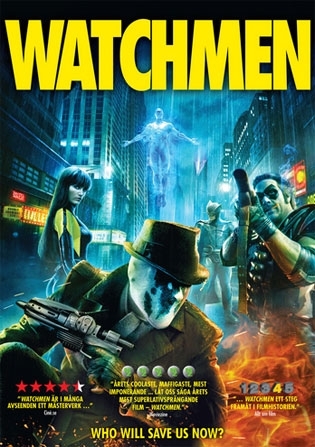 The watchmen are a group of superheroes that helped fight crimes until they were outlawed by the government. The story begun with the Minutemen, a group of eight masked vigilantes that finished the job where the law couldn’t as a response to a rising number of gangs and and criminals being masked. The Watchmen were formed decades later in an attempt to form a similar group as the Minutemen, some are relatives to the original Minutemen. In the 1980’s they are outlawed by the congress. Though not all stop the work. Two are legally active, The Comedian and Dr. Manhattan, their activities are sanctioned by the government. One remains secretly active, Rorschach (Jackie Earle Haley). This movie starts with the murder of Edward Blake, now an elder man. Rorschach is investigating Edwards murder when he discovers that he was “The Comedian”, one of the former Minutemen. 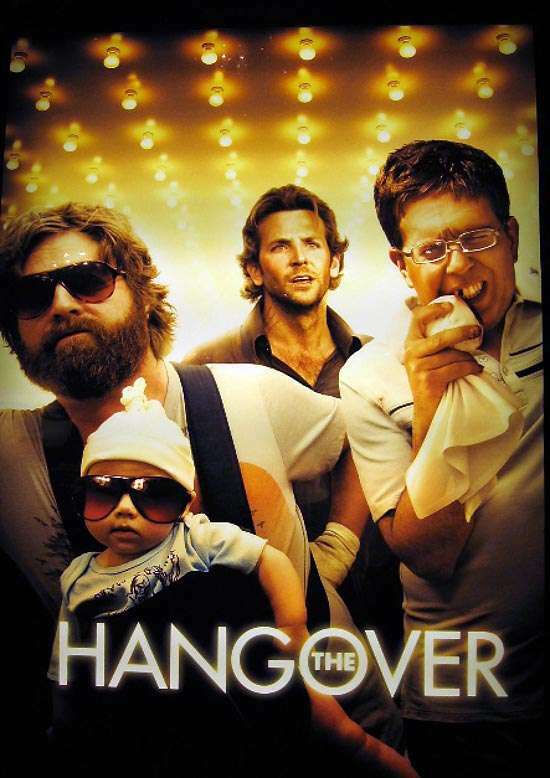 A group of friends head out to Las Vegas for a bachelor party, it’s Doug (Justin Bartha), the groom, his friends Phil (Bradley Cooper), Stu (Ed Helms), and soon-to-be brother-in-law Alan (Zach Galifianakis). They set of by car, the brides father, who seem to know a lot about what can happen in Vegas, let them borrow is car, a vintage Mercedes convertible. Doug promise to take good care of the car and that he’ll be the only one driving it. They arrive as planned and checks in at Caesar’s Palace, upgrading to a luxury villa. They get all dressed up and goes up on the roof. Up there they have a couple shots, and promise each others that whatever happens, they’ll not remember it and definitely not talk about it when they get back home. They have no idea how well they’ll be able to keep that promise. The next morning they wake up, remembering nothing. They are in their villa, which is rather trashed. They find a chicken wandering about in the hallway, there’s a tiger in the bathroom and a baby in a closet. They have no idea how those came to be in the villa. What’s even worse is that Doug is missing. They start investigating what really happened, by following the small memory and clues they got. Phil got a bracelet from a hospital, Stu is missing a tooth and find an ATM receipt for $800 in his pocket. Slowly they discover the path they had taken the night before, one thing worse then the other. When they get their car from the parking, the valet returns with a police car instead of the Mercedes they expected. Comments Off on Follow us on Twitter. Get tweets when there’s new blog posts. You can also get information about up coming reviews. G.I. Joe is not a person, it’s an elite military group. You don’t apply to be part of the group, they ask you if they think you are fit for the task. 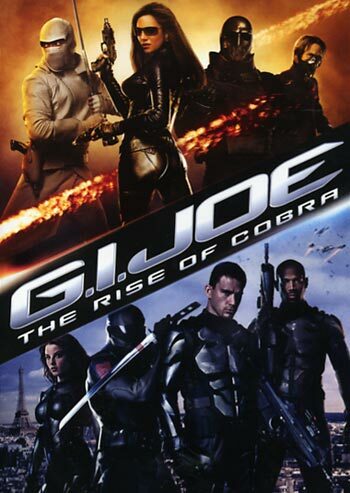 Duke (Channing Tatum) and Ripcord (Marlon Wayans) are part of a NATO troop that have a mission to deliver warheads to NATO. The warheads contain a new weapon based on nanotechnology. Each one of the warheads have the capability to destroy an entire city. The company behind the technology is MARS, lead by weapons expert James McCullen (Christopher Eccleston). James has his own plans for the warheads, and that does not include letting them get to their destination.